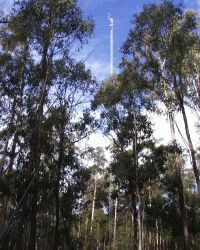 Bago State Forest, where Tumbarumba Flux station was established in March 2000,is a native forest of 50,000 ha that has been managed for wood production for over 100 years. It is a moderately open (Lai ~2.4), wet sclerophyll forest, 40 m tall, in which the dominant species are Eucalyptus delegatensis and Eucalyptus dalrympleana of mixed ages ranging up to 90 years. 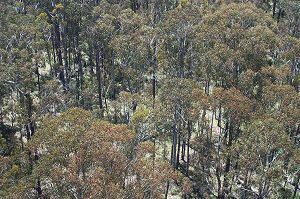 Bago State Forest, where Tumbarumba Flux station was established in March 2000,is a native forest of 50,000 ha that has been managed for wood production for over 100 y ears. 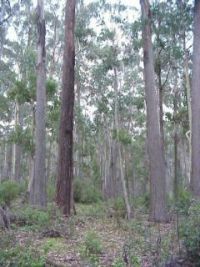 It is a moderately open (Lai ~2.4), wet sclerophyll forest, 40 m tall, in which the dominant species are Eucalyptus delegatensis and Eucalyptus dalrympleana of m ixed ages ranging up to 90 years. Dominant land cover at the measurement location: No information. Density of Canopy: No information. Land cover within 50 m of site: No information. Land cover within 500 m of site: No information. 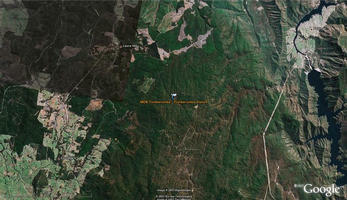 Land cover within 12 km of site: No information. Seasonal land cover changes: No information. 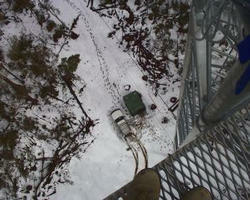 Major changes in land cover at site from October 2002 to December 2004: No information. Slope at the site: No information. Aspect at the site: No information. Surface soil type: No information. Soil type in deeper layers: No information. Surface soil porosity: No information. Soil porosity in deeper layers: No information. Soil infiltration rate: No information. Bulk Dry Density: No information. Saturated Hydraulic Conductivity: No information. The Soil Reference Group(s) (from World Reference Base for Soil Resources): No information. Climate is wet temperate, where typical annual rainfall is 1000 mm and temperature ranges between -100 and 300 C.